Beautify your landscape and add utility by adding a patio, driveway, stairway or other feature. We use natural and man made materials to match your vision. We have a wide variety of natural and man made materials available including outcropping stone. 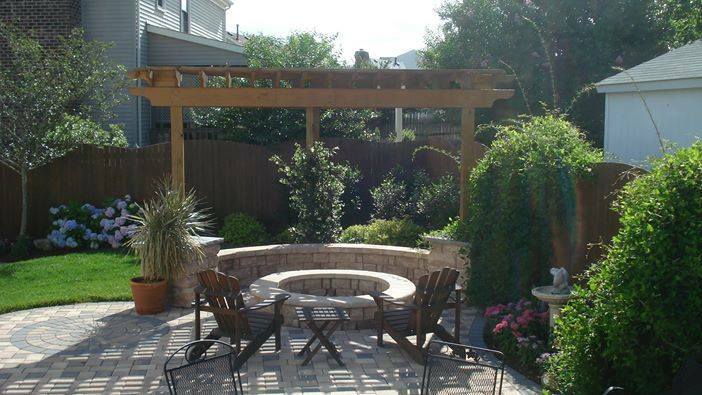 We work with your vision and budget to build your dream landscape features. Beautify your landscape and add utility by adding a patio, driveway, stairway or other feature. We use natural and man made materials to match your vision. Our natural material products include "Lannon Stone" and other natural flagstone used in paving and outcrop features. We also use boulders and River Stone from a variety of sources to match your color and appearance preferences. As you can see in the gallery above, our creative designers and installers work with your vision to create enduring hardscape features that you can be proud to have as part of your outdoor environment. Examples of our work include natural stone and paver driveways, natural stone and concrete paver patios, fire pits, outdoor stairways, walkways and other landscape features. Your beautiful residential landscape becomes an inviting space for your family and friends. For our commercial customers they make a statement of beauty and stability that is a pleasure to visit. Is your stone walkway, patio, or other feature "tired'? Have materials shifted or are weeds or other vegetation getting in the way? 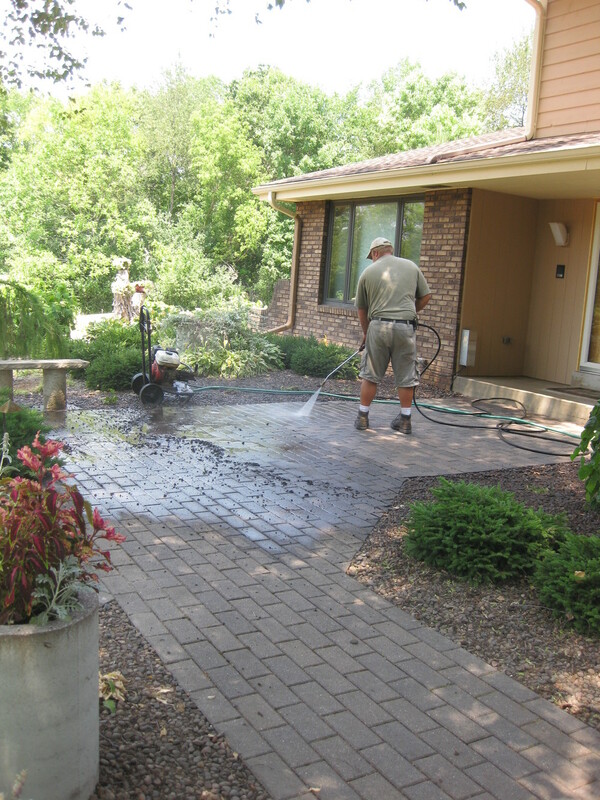 We can repair or update your hardscape using existing and new materials as needed. With proper maintenance your landscape features can be enjoyed for a lifetime. Benchmark Landscape Management is one of the largest and most established landscape contractors in Southeast Wisconsin and has the equipment and experience to realize your hardscaping vision to create features that will stand the test of time and provide beauty and functionality. We would welcome the opportunity to realize your vision, please call us today.